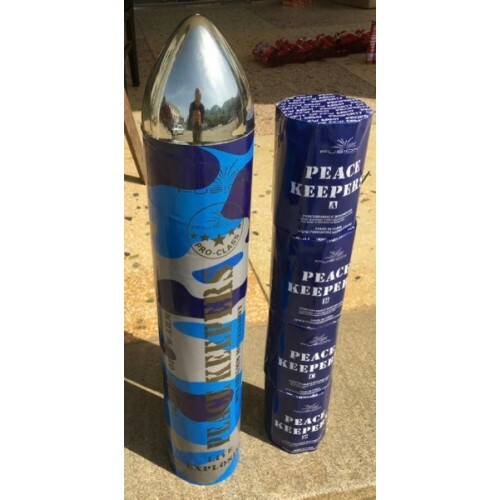 Fusion Peace Keepers Multishot Pack - A warhead tube packed full with four heavyweight multishots. Great value for money, with packaging to drool over, that has been updated to military blue in 2018! Now you can add to your collection of cool looking fireworks packaging!